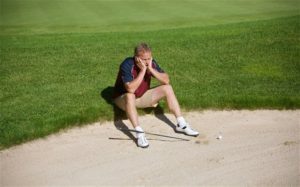 Golf Instruction is Dead - Why Golf Instruction doesn't work. Why golf instruction and video golf swing lessons just don’t work. Then somewhere along a good round your whole golf game crumbles… Your golf swing just doesn’t work and nothing you try will get it back. You are faced with the reality that you are back to square one. And if you are like most golfers this has happened to your golf game more times then you can count. I talk to a lot of golfers who have sworn off golf instruction of any kind because they just don’t want to experience the highs of the expectations of a better golf game followed by the lows when the golf swing once again fails. They just can’t take it any more. I don’t blame them because I’ve been there too. But I’m hard-headed and I never gave up. It took over 20 years of deep research but I now understand why this happens. Here’s why your golf swing doesn’t hold up. Failure of golf instruction starts with the premise that a certain golf swing will work for you if you just practice with it enough. It continues when you are told there are certain movements that have to executed properly and in order to hit a golf ball well. Golf instruction makes matters worse when you buy into theories about swing plane or whatever new boutique golf swing is currently popular. But today I want to explain WHY the breakdown of Golf Swing Instruction happens. Golf swing instruction failure is rooted in how golf is taught vs how your mind works to implement and remember movement. So who decides what swing plane is right, and how do they do it? Actually, it doesn’t matter. It will only work if that swing plane coincides with your body’s natural swing plane based on your personal body structure. When it does there is some success. When it doesn’t it’s back to the drawing board with YOU thinking you are doing something wrong or maybe you just aren’t good enough to make it work. A big problem with golf swing instruction is that golf instructors are looking at the golf swing movement on the outside of your body, while YOU have to figure out how to make the same movement from the inside-out! Think about it… During a lesson, most golf instructors are telling you WHAT to do based on what they see… but ultimately, it’s up to YOU to figure out how to make that move based on what you feel… the same way every time. And then you have to keep it consistent! Sure, movement drills help get the feel, but most golfers agree that during a round of golf, feel changes and it can’t be relied upon. Once the feel changes, what do you have? How do you piece a swing together during a crucial round when you’ve lost your feel? There are rules and unfortunately, golf instruction breaks those rules. The rules are hard-wired into your DNA, so they are not negotiable. So, what are the rules golf instruction is breaking? Again, I say it all of the time, but the first rule that cannot be broken is how the Automatic Balance System works in the mind and body. The Auto Balance System is hard wired into your mind right up there with automatic heart beat and breathing. These are survival instincts that have been hard wired into humans since we walked the Earth. If you start moving your body out of balance, your mind will automatically make whatever corrections it has to make to re-balance you which redirects your muscles from your golf swing and causes all sort of unfunny shots. If you don’t understand how balance works and how to properly use balance with your golf swing, it won’t work for you and you won’t believe in balance. So even if you have no choice in the matter, you need to understand balance, use it properly during your golf swing and believe in it to reap the rewards of an amazing golf game as a result. The mental rules point to how the mind works more than what you are thinking. This is where golf psychology has led golfers down a long and winding road. You see, golf psychology is all about WHAT you are thinking, which is conscious. But it’s the subconscious mind that controls your body movement. The rule is simple: To use the subconscious mind properly, you must be in the present because that is where the subconscious mind exists. Conscious thoughts are about the past or future. I refer to the age old adage of picturing the shot in your mind as you set up to the ball. Is the shot in the future or the present? Hint: The shot is what you want to happen… After you hit the ball. (Key word is AFTER). The shot is in the future which makes it a conscious distraction to the task at hand… The act of striking the golf ball. So, while golf mental “gurus” are telling you to picture the shot, if you don’t do something with that picture to bring it to the present, that very picture will sabotage your golf swing. If you follow the unwritten but absolute rules of how your mind and body work together, you will find your only true golf swing. The one that will automatically repeat every time you follow the rules. You don’t struggle and you don’t need instruction, gadgets or the latest golf clubs to play your best golf. It’s how golf was meant to be. It’s not opinion… I’ve proven this over the last 18 years. That’s why I say that golf instruction is dead. 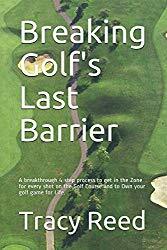 If you’re tired of the golf instruction merry-go-round and you still believe there is an awesome game of golf locked inside of you, let me change your mindset and let that awesome golf game come out. It’s in there waiting. Golf merchandising and instruction is a multi-billion dollar industry.Most of it points you toward some kind of expenditure for improvement. The golf tips during the golf telecast always end with a plug for your local PGA pro. Tour Pro golfers are given the latest and greatest clubs and paid to promote them in hopes that all of the amateur golfers who follow them will run to the store and buy the same clubs. Don’t get me wrong. I’m not saying that this is some sinister plot to separate you from your hard-earned cash… But if the industry was aware of information that could harm it, wouldn’t it make sense to just “innocently leave that information out”? My information has been out on the internet for at least 18 years. I have overwhelming proof that my methods work well, work fast, and have lasting and somewhat amazing results. That’s is why I say that golf instruction is dead. you don’t have to struggle with your golf swing any more. 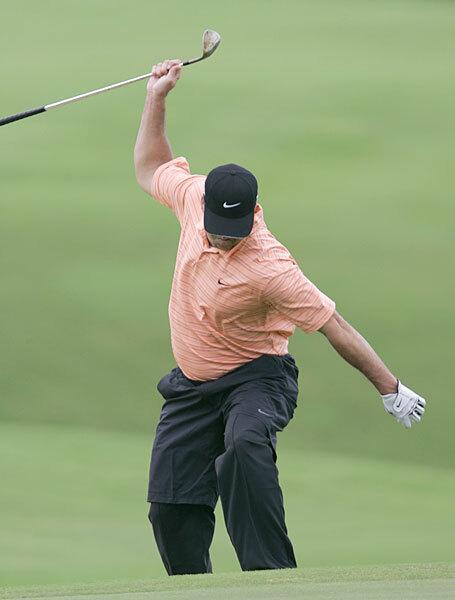 You just have to understand to mind/body rules that make YOUR golf swing work and be amazed at the results.